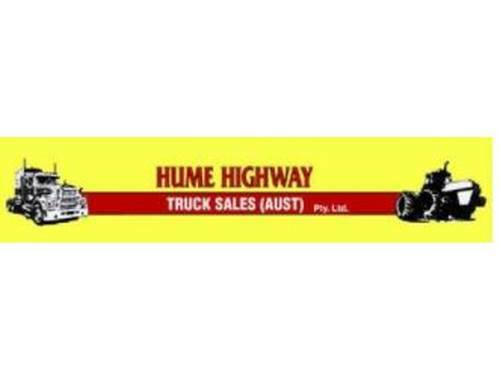 Hume Highway Truck Sales (Aust) is a proud dealer of a wide range of new and used trucks and trailers. Hume Highway Truck Sales specialises in quality used trucks including conventional trucks, cabover trucks, cab & chassis trucks, dump trucks, flatbed trucks, flatbed-dump trucks, water tankers, curtainsiders, reefers and utilities. Hume Highway Truck Sales stocks brands such as Freightliner, Kenworth, Volvo, UD, International, Scania, Mack, Mercedes-Benz, Isuzu, Nissan, Hino & Mitsubishi Fuso. To complement its vast range of trucks Hume Highway Truck Sales also stocks a wide range of new and used trailers. These include dolly trailers, tag trailers, grain trailers, container trailers, reefer trailers, curtain side trailers, flatbed trailers, drop deck trailers and horse floats. Trailer brands include Wildcat, Hamelex, Vawdrey, Maxitrans and Freighter.